Aye Lords! 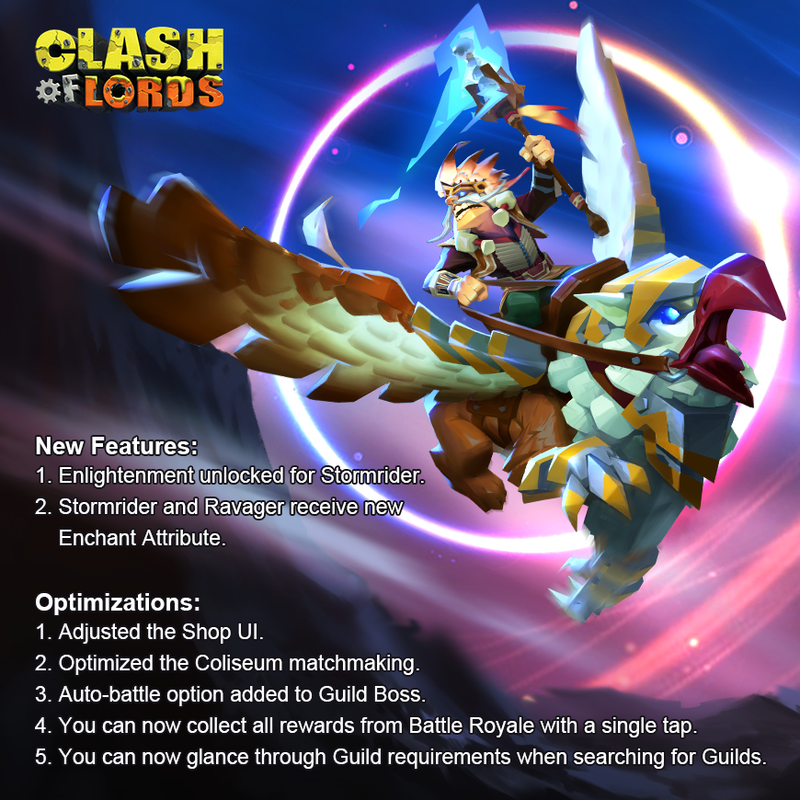 We'll be updating Clash of Lords on Jan 10th EST (GMT-5). The game will be down for maintenance at around 02:30am and for 2 hours. Please note that several features won't be available until the latest update launches. Update Clash of Lords and we'll send 300 Jewels to your in-game mailbox for free! Happy clashing!